The Twins traded away Eduardo Escobar earlier today, clearly raising the white flag on the 2018 season, yet their first game after it's been made clear that they're sellers they lost because 38-year-old scrap heap veteran Matt Belisle gave up a walk-off home run. I'm pretty sure this is not how rebuilding works. There’s all sorts of rules regarding how/when a catcher can block the plate, but I don’t ever remember having to thumb through the rulebook to figure out the rules on first basemen sitting on the bag. PITCHERS FOR SALE! GET YOUR PITCHERS!!! LANCE LYNN, COME GET ‘EM AGAIN! PITCHERS FOR SALE! Lance Lynn has definitely transformed back into a dependable starting pitcher. I mean, if the Twins were to try and acquire a guy like that, I’d definitely give up, say, a top 100 prospect. Seriously though, Lynn did look good. He only walked one batter over six innings. 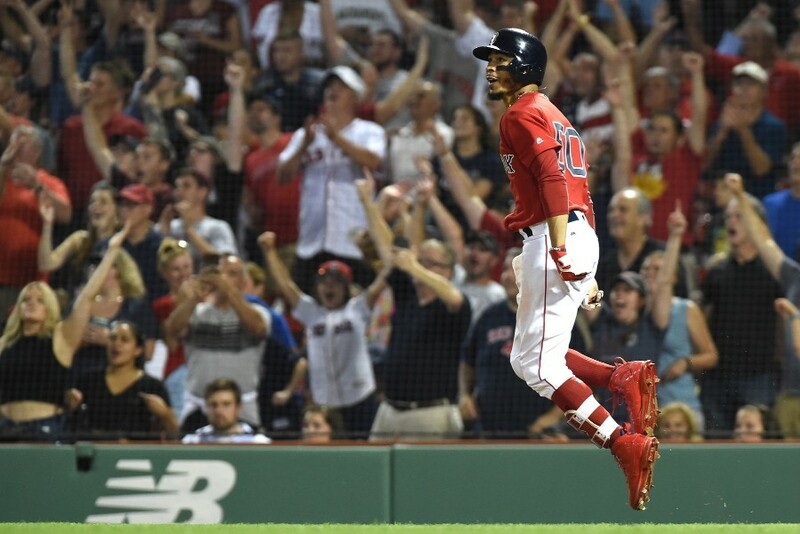 The only runs he gave up were on a two-run homer by Jackie Bradley Jr.
As in Eddie Rosario played third base. Yep, for real. With the Eduardo Escobar trade, the Twins were forced to play with a two-man bench. Joe Mauer pinch hit for Ehire Adrianza in the eighth inning. In the bottom of the frame, Joe took over at first, Logan Morrison moved out to left field and Eddie came in to play third. Guess what? Rosie is the GREATEST THIRD BASEMAN OF ALL TIME! With the Twins trailing 2-1 in the top of the ninth, Craig Kimbrel walked Robbie Grossman and Jorge Polanco. Down to their last out, Rosario blasted one off the monster to plate both runners, giving the Twins the lead. Honestly, how many actual major league third basemen can make that play? The Twins should probably be happy that he only gave up one run in the ninth, forcing this game into extra innings. That meant we got to see 38-year-old Matt Belisle, who had thrown 54 pitches the previous four days. What could go wrong? MIN 12, TOR 6: More Like Er-win Sweep-tana!!! Pure disgust. And not with the players, even Belisle. Pressley should've closed that win out. Time for the players to put up the life-size cardboard cutout of Falvey. That's all I want to say. Man, I love Rosario. The dude brings the game back with an incredibly-clutch double and then does his best Nolan Arenado impression on the first groundball he's ever seen as a 3B. Insanity. With Escobar gone and Dozier scuffling, he's probably my favorite Twin at this point. Thanks for playing hard, Mr Rosario. And with a 2 man bench and six starters! We appreciate it. 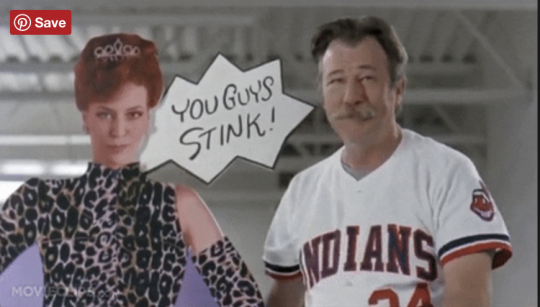 By the way, as a reward, we’ve dealt Misters Escobar and Pressly. Hopefully it will help recruit some new members to the "Baseball Player Positional Flexibility" Club. The good news is that since Belisle only three two pitches, he’s available for tomorrow! Rosario is going to know this is a fake because you spelled Thad correctly. Can we trade Molitor for a manager who will use the entire bullpen? Why have Magill on the team if you won't use him? For that matter, why have Belisle on the team at all? This season is dead so bring up some young arms and give them an extended tryout. Put this on the F.O.We have 6 starters on the roster???Why. We could have used Moya tonight. Also, I think every fan would rather watch Busenitz,Curtiss,Moya or May fail over watching Belisle. Again, I put this on the F.O., but I put using Belisle so much on Molitor. And Rodney once again is the MLB blown saves leader. Now there is a trade I would love to see. He just thinks he can throw it right down the pipe, flat with no movement, and blow it by hitters. That pitch was such meat. Kepler almost had it. I thought he was going to get it. Molitor must live in a dream world, dreaming that this was last year and Belisle could actually be counted on. I mean really, two 89 mph 4 seamers in the exact same place, belt high and right down the middle of the zone. And all night, on all sports networks, tv and radio both, I have been suffering through the clip. Just release the guy, already. For these two tourists to destroy Rosario getting to Kimbrel is just criminal. Belisle, Twins career vs Boston, now has given up 13 runs in 4.1 innings (that's 13 outs). There does seem to be an issue with trade timing. They have all day to make trades, how do they manage to time them so they are shorthanded for a key game? Especially in the bullpen, when Rodney was gassed and we knew Lynn was starting and Belisle has been garbage vs the Red Sox. Should the team just have a AAA reliever travel with them, for the week leading up to the deadline, ready to activate at a moment's notice? I don't think there is any rule against that, maybe they can't sit in the dugout or pen while inactive. While I agree that carrying six starters is stupid, the fact that Molitor won't use Magill renders the argument about the front office kind of moot, IMO. Secondly, Molitor could have simply used his sixth starter out of the pen. To Tom: actually this is what rebuilding looks like. To Brian: I am sold on the Flexibility Club. It's why I want EE back next year, he is a perfect member. But for your club to be successful, you will need to find a new FC manager. A FC with an inflexible manager would seem to be at odds with itself. 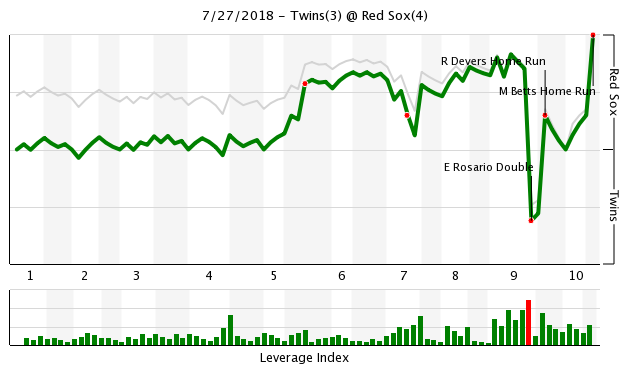 But credit where credit is somewhat due, The switch with Rosario worked. But I still would have put Mauer at third, Morrison at first keeping one guy out of position and LF solid. But, I was never MOY. Season is over. These trades prove it. Belisle has no business on a MLB roster. Release him and call up anyone else. Anyone. Tough night for Twins fans. Rosario's a beast!!! Looking forward to seeing if we can make any trades for AAA guys rather than these grab-bag, dime a dozen low-A players. Nah. Rebuilding teams don't keep 27 and 28-year-olds who are already on the 40-man-roster, are putting up strong numbers and have multiple years of team control down in the minors in favor of guys like Matt Belisle. They don't start Bobby Wilson over Mitch Garver. They don't hang on to a struggling veteran like Logan Morrison. Well, teams that are actually committed to rebuilding don't. The season wasn’t over as far as I’m concerned. Regardless, I’d expect better roster management out of our front office. I feel like typing Rosario another 24 times because he is the highlight of our roster and I am not sure what to look at next. It would be great to see your colored reliever chart for the entire year.It seems to me that Molitor gets into a groove with one pitcher and just rides him into the dust - game after game until failure.At the same time Magill is a maximum puzzle.His results have been decent, but he does not pitch - the complete opposite of old friend Belisle. Of course as I look at Molitor for this I believe we have a bench coach, a pitching coach, an assistant pitching coach, an assistant coach in charge of metrics, and a bullpen coach - all of whom might point this out if they are doing their jobs. Six starters, 2 bench, I have been confused over roster management all year.The bench has been a disaster, the handling of minor league arms is a puzzle. Now I expect Sano at 3B so I guess that fixes the lineup? In his last seven games, Magill has given up an earned run in six of them. In his previous nine games, Belisle had given up earned runs in one game (and lots of runs in that game). Rodney isn't really a closer. I am impressed that he can throw 95 at his age though. I was listening to the game last night in XM radio, so I had to listen to the Red Sox announcers. Before the game they made some observations about Lance Lynn. They were thinking out loud that Lynn's struggles could be weight related? (Maybe like Sano?). They observed that Lance was probably well over 300 pounds. They mentioned that when Lance was with St. Louis they had gotten him a nutritionist that worked with him and got his weight down and they think that's why he pitched better there. They were thinking that with his weight that he tires out more as the game goes on than other pitchers?? Then as the game advanced, they were talking like; he's going to walk someone here pretty soon, and then the 4th and 5th innings they were both saying someone in our lineup is going to start pounding him, it's getting to that point in the game and then when Nunez hit that double they both said, here it comes! Shortly after the Bo soxs hit that home run and those guys were talking like they knew it was coming against Lynn, it was a matter of time to them. The night before when Gibson was pitching they did not talk like that at all. It was interesting. MIN 4, HOU 10: Springer and Bregman and Altuve... Oh My!